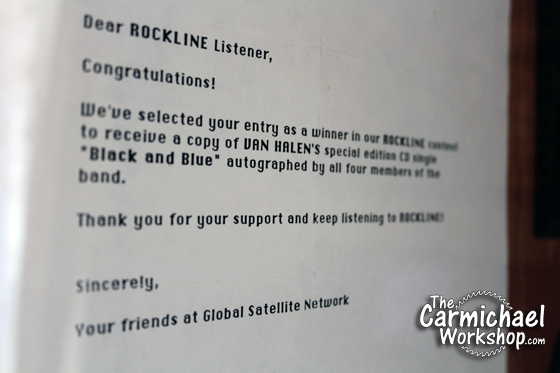 Back in 1988, I won an autographed Van Halen CD from the Rockline radio show. It's hard to believe that was over 30 years ago! I think it's past time to build a display frame for it. 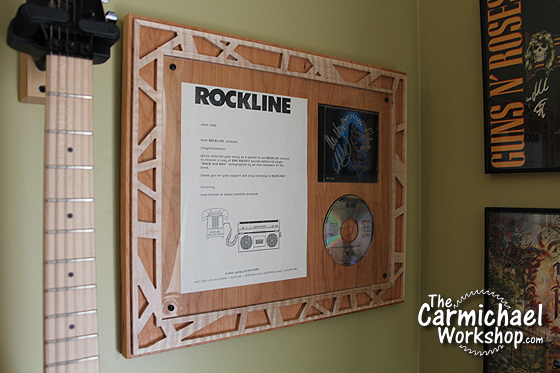 I put my Inventables X-Carve CNC Machine to work to make a cool Van Halen striped frame out of cherry and maple. 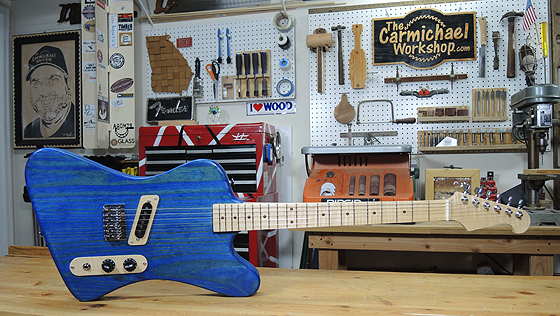 Watch the video below, then read further for more details and pictures. This is a CD single for the song Black and Blue from Van Halen's OU812 album. 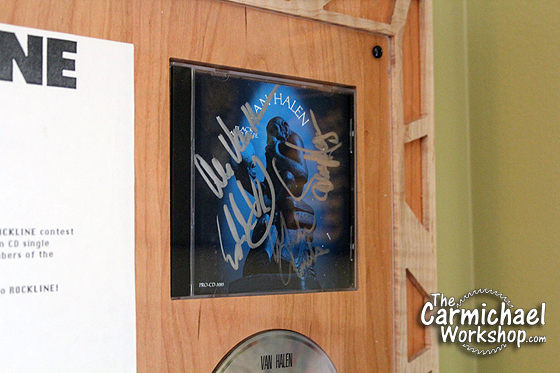 It is signed by Eddie, Alex, Michael, and Sammy. Van Halen is my favorite rock band, so this is a cool thing to have. 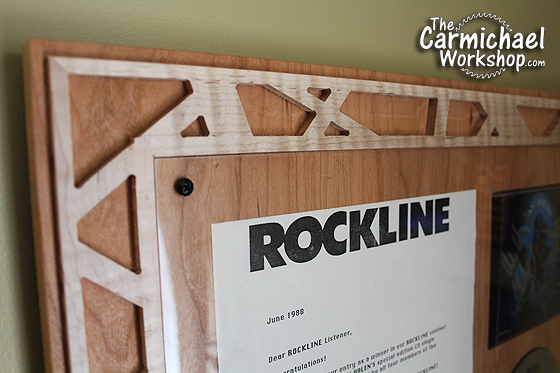 I kept the letter that Rockline sent with the CD to prove the authenticity of the autographs. It has a sketch of an old phone plugged into a boombox to represent calling into a radio show, which looks dated but kinda cool. I had to be really careful when preparing the blank for this project. The X-Carve is very accurate, so my frame had to be perfectly square so that the CNC could carve the stripes in the correct place and centered around the frame border. The frame looks great in the EVH corner of my office. I should have framed this CD 30 years ago! Oh well, better late than never. I hope this project gives you some ideas for framing autographs or other memorabilia. If you would like to check out this project in the Inventables Easel software, click here to open my project. You can even carve one yourself if you have an X-Carve. 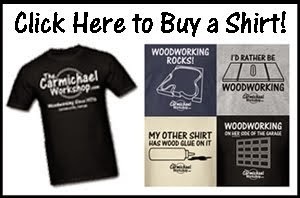 Clicking the Referral Links in this article and making any purchase helps to support my workshop. Thank you for your support!